These are the chronicles of Richard “Maddog” Madsen and his Super F350. Record-setting street-legal drag racer, diesel speed-demon extraordinaire. But I'm not Richard. My name is Ernest. I ride shotgun. Weekend on the Edge 2006! 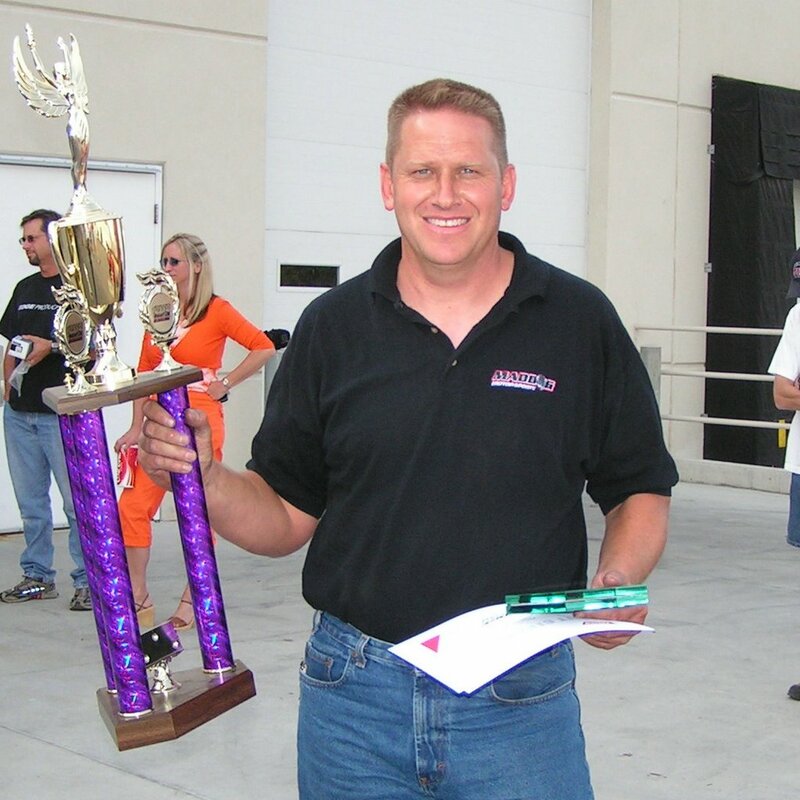 Right hand holds the trophy for fastest ET at the drag races, left hand holds the green plaque for highest horsepower on the dyno, and the accompanying $$value certificates. And what a story behind the trophies! In the drag race, Richard was making the qualifying run when the transmission input shaft snapped (again) right before the 1/8-mile mark. Richard coasted the second half of the 1/4-mile run and STILL got the fastest time of the night! By the time he got to the end of the track, he had slowed to about 99mph and an elapsed time of 11.69, can you believe that??? Those numbers coasting the second half of the race! The crew spent a few hours into the night and the next morning replacing the input shaft on the trans for the Dyno event the next day. The first run Richard took it easy on the stock shaft but went "for broke" as it were, on the second Dyno run. The rollers could simply not keep up, the tires smoking on the rollers! Richard won with almost 200HP over the nearest competitor with a "best" of 940HP and 1519 Torque measured, but there was simply not enough friction to get a true reading on the rollers. ATS makes an AWESOME transmission, but is there any way you guys could make a 2" dia. input shaft??? Richard used to drive the F350 to every event. 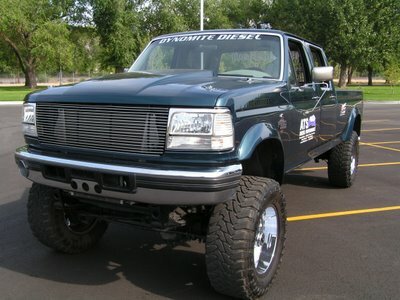 Now it is becoming a more pure race truck and it gets special treatment now! This is our lovely new Toter-home. 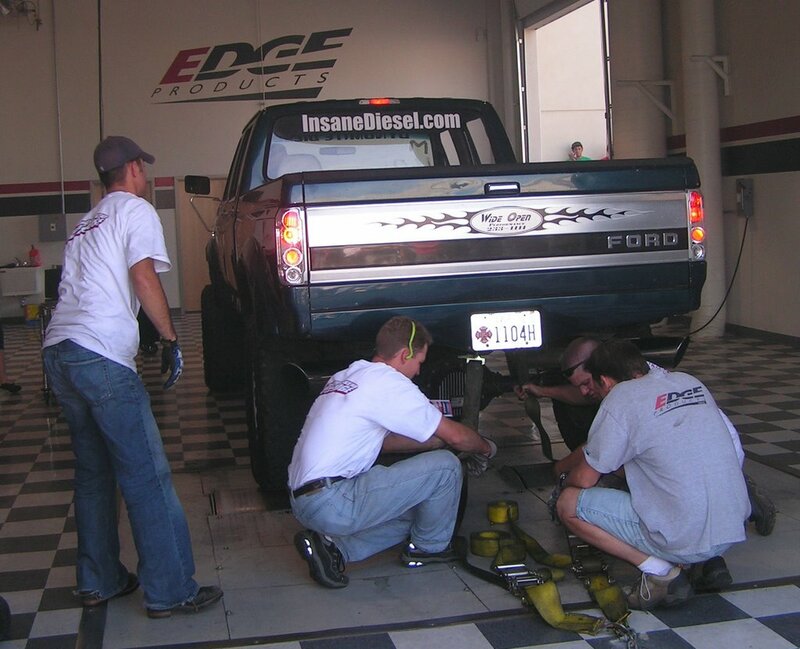 Edge Crew hooks up the mighty F350, which blew off the exhaust tubes on the first run and smoked the tires on the second run! The rollers simply could not keep up with the torque so the best run only reported 940HP, but believe me, it was much more! Everyone always looks through the wheel wells to see what Maddog Magic looks like. It's not really magic, it just seems like it! But you can see one of the giant turbos right through here. 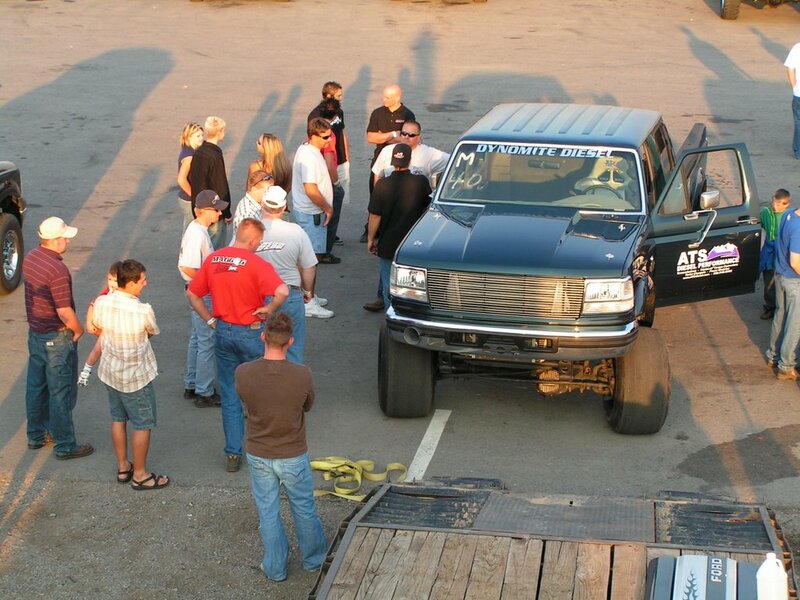 The Maddog F350 always draws a crowd. This is after the winning drag run with racing slicks still on all four wheels. 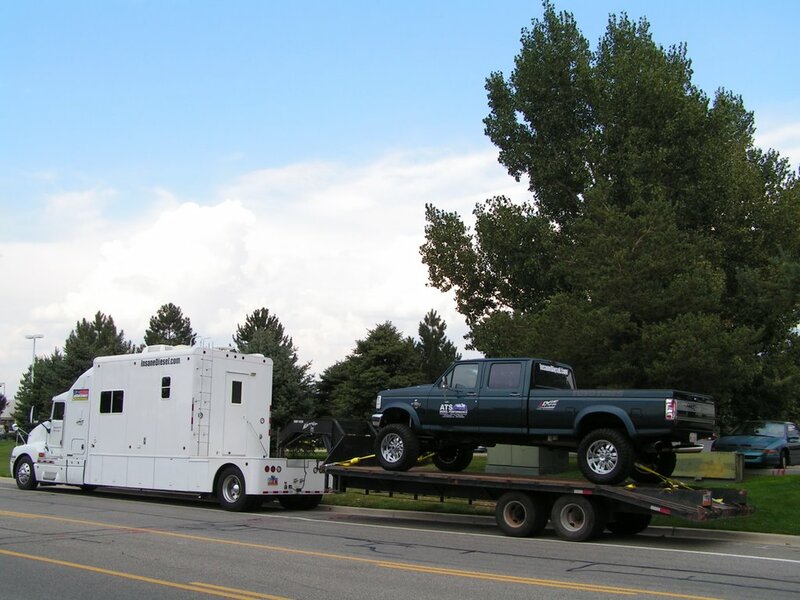 I have blogged about my experiences as a world-traveling mechanic. For several years I worked as an Armor mechanic in Iraq, Kuwait, and Afghanistan to keep soldiers safer. I've found that what goes on in, and because of America is amazing, good, great, and sometimes unknown! So I share my experiences here. Now part of the Maddog Technologies Team where we are working on the Maddog Supercharger System FOR DIESELS.